The zippy 1TB Crucial P1 SSD is on sale for just $95 today—under 10 cents per gig! The Crucial P1 1TB NVMe SSD is $95 at Newegg today—if you know the right checkout code. Today’s a good day to grab a whole lot of storage at a great price from Newegg, as long as you have a compatible motherboard. 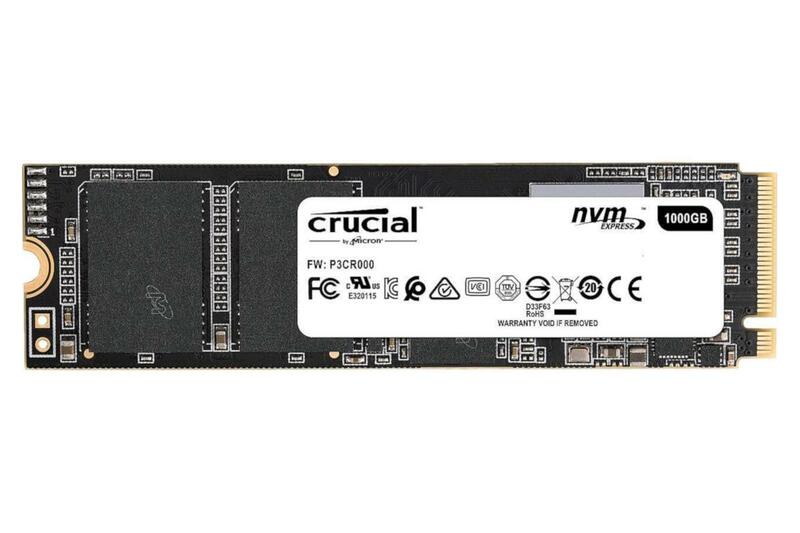 The online retailer is selling the Crucial P1 1TB NVMe M.2 SSD for $95Remove non-product link with the checkout code EMCTYTY22. The price on this NVMe SSD dropped to $105 a few days ago, but that checkout code gets you an extra $10 off. The 1TB Crucial P1 usually costs around $150. This is one of those Newegg checkout codes where you may need to provide your email address to get the deal. Newegg’s sale price ends just before midnight Pacific time on Thursday. While this is a great price for an SSD, it will only work with relatively recent motherboards rocking an M.2 storage slot. If you’re looking at this drive as part of a future PC build, most new motherboards are M.2 compatible, but it’s always smart to double check–or just use PC Part Picker to be certain. This particular drive promises read speeds of up to 2,000 Megabytes per second, and writes up to 1,700 MB/s. Those are some crazy sounding numbers, but that’s the beauty of drives using the newer NVMe interface instead of SATA III. They’re just so much faster and a great choice for your primary storage drive. The Crucial P1 also comes with a five-year limited warranty. This story, "The zippy 1TB Crucial P1 SSD is on sale for just $95 today—under 10 cents per gig!" was originally published by PCWorld.